I hope everyone had an amazing Halloween! I loved seeing all the little ones flooding my Instagram feed. I can't wait to share all the details about our fun filled day, but I have yet to look through the hundreds of photos I took. Instead, I am bringing you another edition of Five on Friday. Thanks to Darci and the girls for hosting! Here's a little sneak peak of Liam's Halloween costume that I shared on Instagram. I was so pleased with how it turned out! I was proud to have made his costume myself (with a little help); it made everything that much more special! He's was such a little "hoot" (I couldn't help myself)! Last weekend we purchased this new bedding for our guest room! 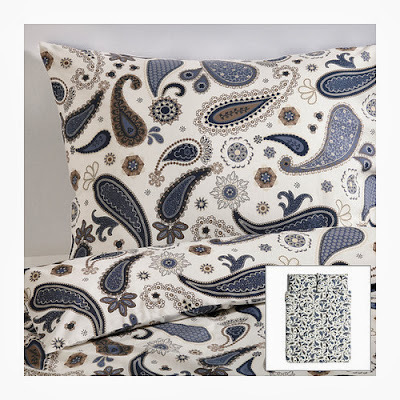 While IKEA doesn't have the best quality sheets, I loved this pattern. I paired this duvet cover with charcoal gray sheets & deep blue euro shams. Next up is to put some paint on the walls and add some art! Now who wants to come visit?! With the colder weather officially here, I have been wearing much more black lately. Too much of my closet consists of black, but that's what happens after you live in Seattle for a few years! One of my favorite eye shadows to wear with black is Trax by MAC. MAC truly has the best eye shadows; they are worth every penny! Also with the colder weather comes the almost daily wearing of leggings! 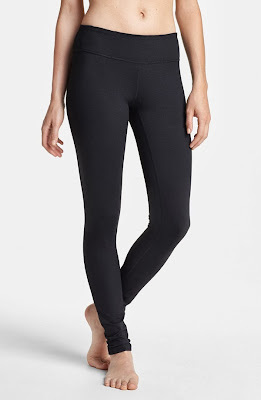 My favorite right now are this pair from Zella. They are super comfortable and not see-through at all (which is hard to find)! With the new year right around the corner, it's time for a new weekly planner. This little book is where I keep track of my entire life; it's also my outlet for my OCD. For the past five years, I have always gone with this one from Barnes & Noble. I want to mix it up this time and add a little more flair to my calendar (the things I get excited about it...). Anyone love their weekly planner & want to share? face with Halloween candy, just like me! That duvet cover is so pretty!! 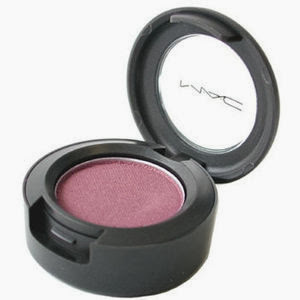 I'm totally with you about MAC they have the best eyeshadows -- enjoy! Have a great wknd! What a cute little owl! I just bought an Erin Condren planner love it. You can customize anything and while it was pricey is was worth the money.